I want to know the SOHC and DOHC configurations. On what factors an engine manufacturer decides to go with SOHC or with DOHC, what should I choose? DOHC or SOHC? A cam refers to a "cam shaft" or the thing which goes bump in the night. The cam has a "bump" or "hump" in it which actuates the valves which allows air into and exhaust out of the cylinder of the engine at the correct time so the engine will run correctly. The wheel at the right of the picture is what the cam belt rides on. This wheel is attached to the cam itself. The cam, then actuates the rocker arms which you can see are pointing to either side of the head. This is an example of a 3-valve per cylinder head (2-intake and 1-exhaust per cylinder). The 2-valve per cylinder is a much mor prevalent configuration. In this example, you can see there are two separate cam shafts riding atop the head. For DOHC heads, the cams can be tied together with a short chain, then have a separate chain/belt which drives the cams, or can have just a single chain/belt which runs the whole thing. DOHC engines usually have a configuration of 2-intake and 2-exhaust valves per cylinder, but in some cases like the configuration Volkswagen-Audi Group (VAG) uses a five valve per cylinder (3-intake and 2 exhaust). In most cases, the cam directly actuates the valve without the use of a rocker arm (it may or may not have a "lifter" between the cam and the valve). The whole purpose of having OHC configurations is to do away with another form of valve actuation, that of pushrods found in the Over Head Valve (OHV), which is found in most American V8 configurations (Ford uses an OHC version for their motors). OHV configurations use a centrally located cam shaft (central to the engine block), and actuates the valves through the use of lifters, pushrods, and rocker arms. The OHC configuration does away with most of this for the reduction of mass in the valve train. This reduction of mass usually means the engine can run safer and cleaner at higher engine speeds due to less inertial pressures on the valve train. Also, since this is more of a direct actuation of the valves, there is less flex (due to push rods) and a more accurate valve actuation occurs. The trade off in this is that the belts/chains/guides which controls all of this usually wear out over a period of time well before the engine's end of life (EOL), where as on an OHV engine, the valve train and timing chain usually will last until the engine is worn out. The OHC configuration is a lot more complex than the OHV in that there are a more parts which can go bad, which can cause catastrophic consequences if it fails. OHC engines are usually "interference motors", which means the valves and the pistons occupy the same space at different times. If the cam belt/chain fails, the valves stop moving, but the pistons do not (right away). The piston will move up into the valves and usually destroy the valves and the entire head assembly. It is imperative that the cam belt/chain maintenance get done on time. There are no warning signs (without taking the engine apart) to tell you when it is worn out, so following the manufacturers replacement interval is very important. As discussed, the DOHC engines usually have more valves per cylinder than the SOHC versions. They will also usually have less parts involved (most DOHC directly actuate the valves, where SOHC usually have rocker arms). More valves means the engine can intake and exhaust more gasses from the engine. Think of a large circle, say one which is 4" across (or say 10cm for you unruly metric folks out there). How many 2" (5cm) circles can you fit within it? The answer is two. Now take the same 4" circle and fit 1.5" circles within it. The number is somewhere around four. A 4" circle has the area of 12.57in/sq. A 2" circle has the area of 3.14 in/sq, and therefor two of those would equate to 6.28 in/sq. With the 1.5" circle, your total would be 7.07 in/sq. (Note: While I'm not sure if four could fit in the circle exactly, the example is valid for educational purposes.) Now imagine these circles are the valves in the cylinder head. The more valves you can fit into the head, the greater the surface area you can cover. The greater surface area allows greater air/exhaust flow into and out of the cylinder. This gives the engine a chance at better volumetric efficiency or VE (basically how well the cylinder fills with the air/fuel mixture). This allows for greater performance from the engine. Manufactures might choose SOHC over DOHC engines due to cost in design and manufacture. They might choose DOHC over SOHC for the performance aspect. I'm sure there are other reasons. What should you do? This site isn't really for giving you my opinion about what you should choose. Basically I would tell you to find vehicles which are within your cost and performance goals. Select several versions of each, test drive them, then make up your own mind. Both OHC versions have a maintenance schedule which should be met with impunity. Other than that, have fun! Here are some working animations of the different types of engines. 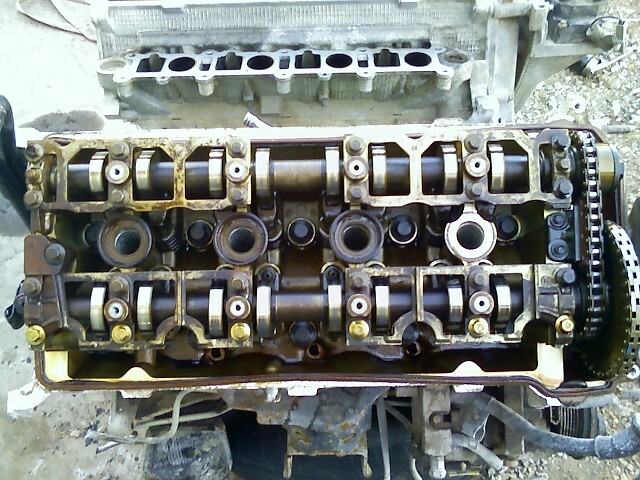 SOHC is single overhead camshaft, DOHC is for double overhead camshaft. DOHC was introduced to improve the volumetric efficiency of a given engine, lending itself to more power. DOHC more lately is used over SHOC as a first choice because of the ease of using variable valve timing which leads to greater control of emissions. SOHC, or Single OverHead Cam, means that you only have one camshaft working both the intake and exhaust valves. 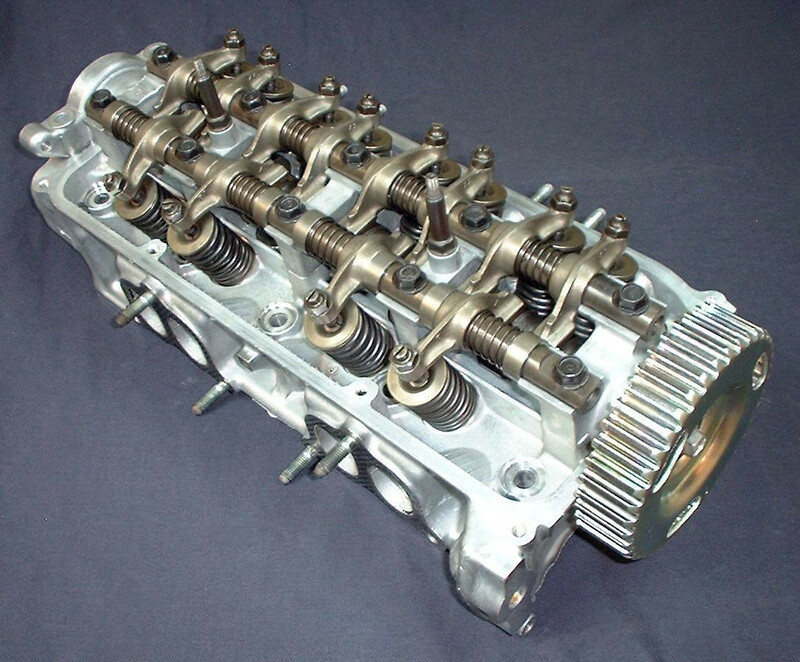 DOHC, or Double OverHead Cam, means you have two separate camshafts, one for intake valves and one for exhaust valves. Additionally, SOHC engines only have 2 valves per cylinder, one intake and one exhaust. DOHC have 4 valves, two intake and two exhaust. This means that you can do more fine-tuning of the engine because you have more control over how much and when air enters and exits the engine. As to which engine to go for: SOHC engines are MUCH cheaper and easier to maintain, but they don't have quite the performance or fuel-efficiency that the DOHC does. So a DOHC is "better", but SOHC is cheaper. FYI: when you hear of a car with "quad cams", it means it's a V6 or V8 (or 10, 12, etc) with two rows of cylinder banks, each with DOHC. Not the answer you're looking for? Browse other questions tagged engine automotive-design or ask your own question. Where do the Camshaft Go? What determines when an automatic transmission shifts? What is meant by bore and stroke?